Comments: A dwarf variety with thornless stems. Produces large masses of bracts (flowers) that are white in color. Aphids, snails, slugs, and caterpillars are insect pests. 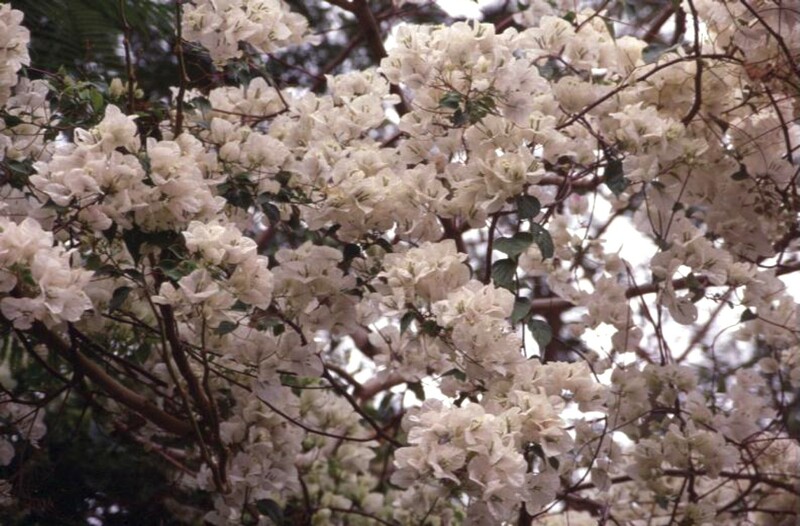 A relatively recent introduction, bougainvillea looper, is now a significant pest in California. Must have full sunlight and keep soils on the dry side and fertilize sparingly.